After putting 1 TB in one of its smartphones, Samsung has decided to attack the RAM. The Korean giant announced Thursday that it will produce chips with 12 GB of RAM! 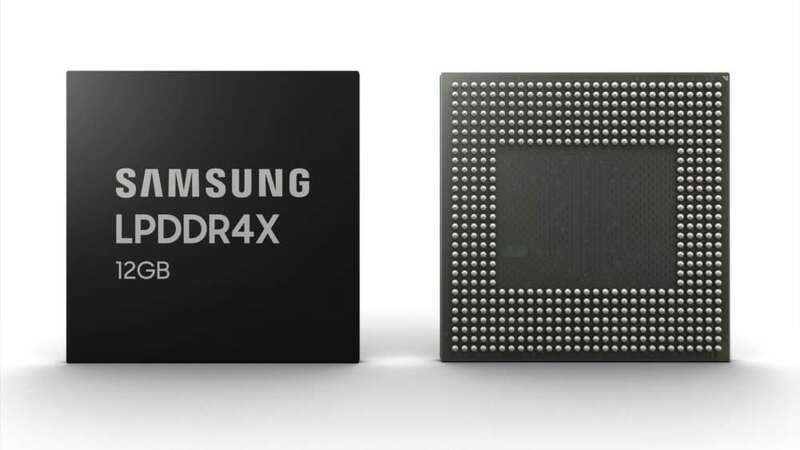 Even though it is rare to find computers with so much memory, Samsung has decided to push the limits of the phones with this type LPDDR4X chip, engraved in 10 nm. A fineness estimated at 1.1 mm which will at the same time free up space for a more muscular battery. Recall that the Galaxy S10 Plus, which incorporates 1 TB of storage already has 12 GB of RAM, except that it is etched in 20 nm with the old generation memory. Last July, Samsung boasted of having made a chip of 8 GB. According to Samsung, this memory chip will be able to handle up to five cameras, display images and videos on extra large screens, including devices with foldable screens. It will be particularly suitable for applications using artificial intelligence. Of course, it will also be adapted to the 5G that should land at the end of the year and become widespread in 2020. From a performance standpoint, the new memory will, in theory, a rate of data transfer of 34 GB per second, while reducing the increase in the consumption of energy inherent in the capacity of the increased memory.